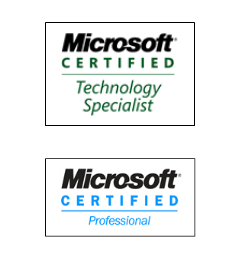 Thoughts of Marcus- Random ramblings of a BizTalk architect: Error when importing bindings: "Failed to update binding information." 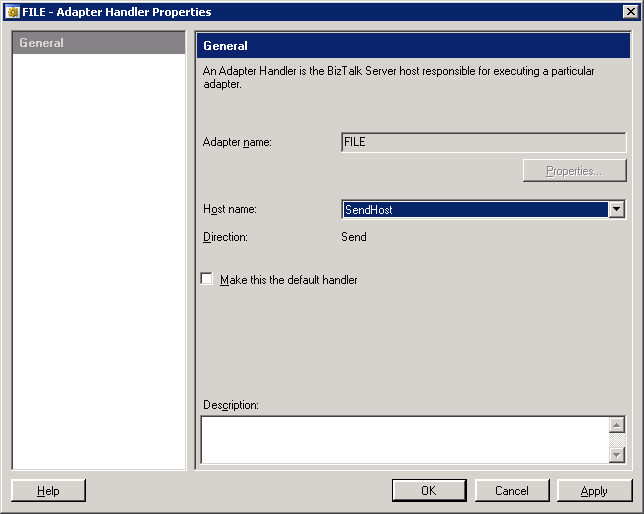 Error when importing bindings: "Failed to update binding information." 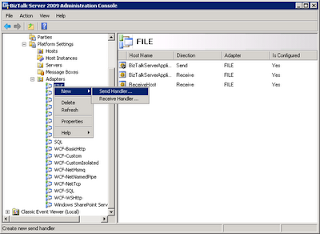 While the message might be correct regarding the host name or trust level, a more common reason to the failure is that the host doesn't have an adapter handler specified that matches the bindings. 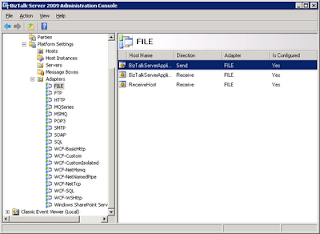 In the Admin Console, browse to BizTalk Server 2009 Administration > BizTalk Group > Platform Settings > Adapters and then look at the adapter mentioned in the message. 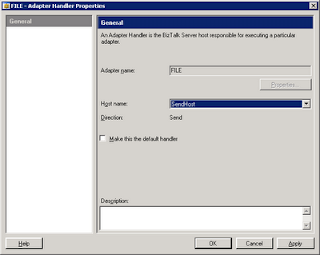 In my case it says "Item: FILE", so the File adapter is where I'm heading and it is indeed missing a send handler for the SendHost host. 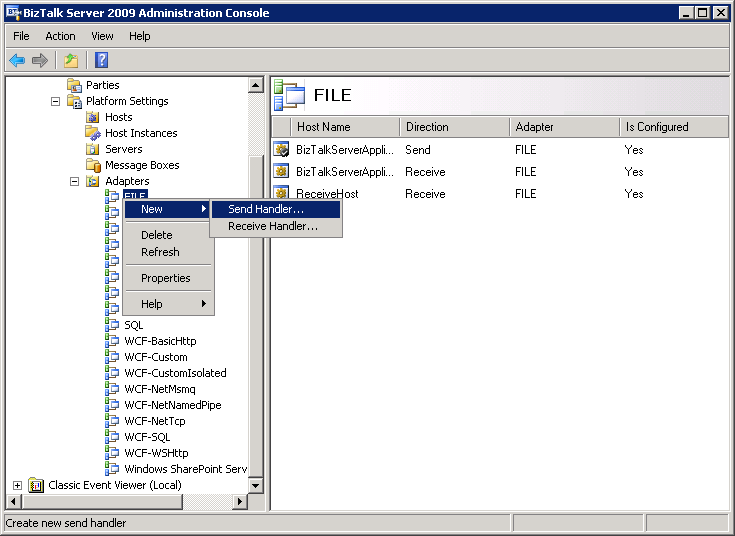 Then select the host that needed the specific send handler and click Ok. 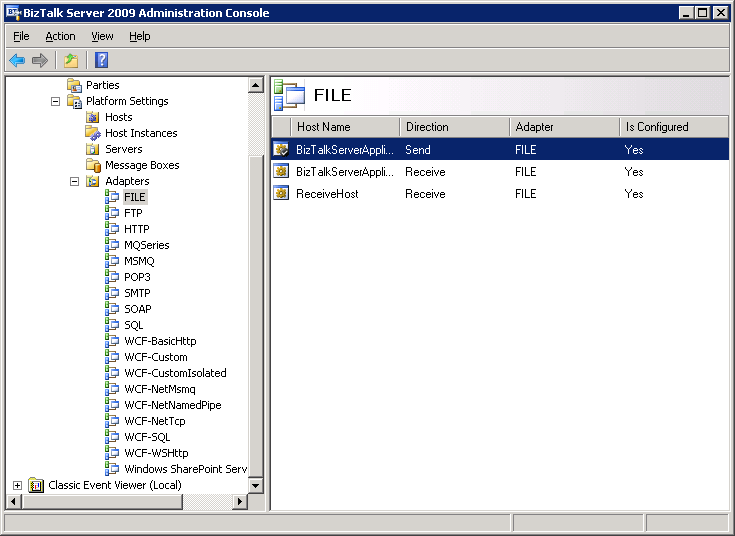 Restart the host instance in question and then try to import the binding again. Thank you for the post. The error message is very misleading in this case.